Perth Glory is hopeful of adding fringe Socceroos and former ECU Joondalup academy defender Shane Lowry to their impressive list of off-season recruits. 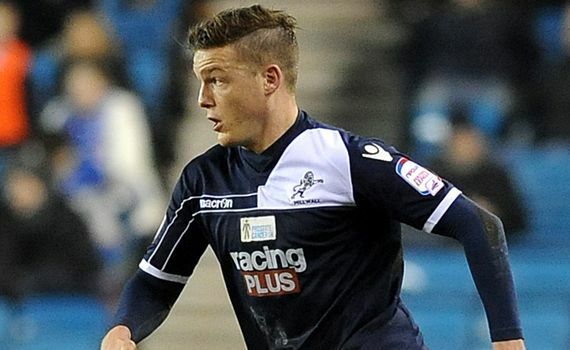 Lowry was released by English Championship side Millwall last month and is understood to be considering offers from several UK clubs. But the 25-year-old ECU product is back in Perth and met with Glory coach Kenny Lowe on Friday and he trained with Glory this week. Glory chief executive Jason Brewer expected a fight for Lowry and said negotiations between the club and player were ongoing. “He’s clearly focused on staying in the Championship but we asked him if he wanted to pop down for training and he has done,” Brewer said. Lowry was a teammate of new Glory signing Andy Keogh at Millwall, the Republic of Ireland striker Keogh arrived in Perth today and will complete medical testing this week before joining his new teammates for pre-season training. Proven A-League players Ruben Zadkovich, Diogo Ferreira, Dino Djulbic and Youssouf Hersi have all been lured to Perth during an aggressive off-season recruiting drive. They are also believed to have their sights set on attacking midfielders Richard Garcia and Mitch Nichols. Former Socceroo Garcia signed a short-term deal with second-tier United States club Minnesota United this year and is considering a return home for the 2014-15 A-League season. He held initial discussions with Glory last month after leaving Sydney FC and expressed an interest in joining his hometown club. Nichols has been plying his trade with Japanese outfit Cerezo Osaka since leaving Melbourne Victory in January and is a proven performer in the A-League, having won championships with Brisbane Roar in 2011 and 2012.